Imagine a school where girls have unicorns for best buddies! No, we’re not joking. This school really exists. It’s called Unicorn Academy, located on beautiful Unicorn Island. It’s a perfect place where girls and unicorns team up! 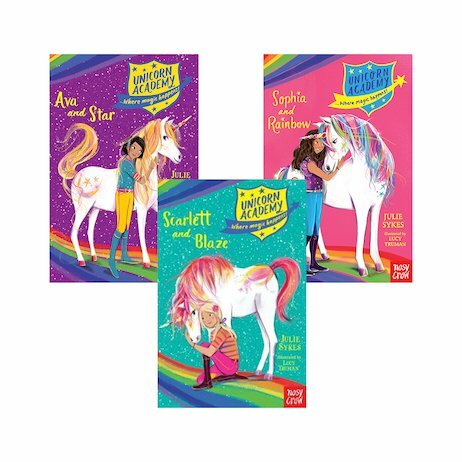 Come and meet three of those teams in these wonderful stories: Sophia and Rainbow, Ava and Star, and Scarlett and her beautiful Blaze. Each of the teams has a special skill, such as growing rare and magical plants. But are their talents enough to save their school when danger strikes?